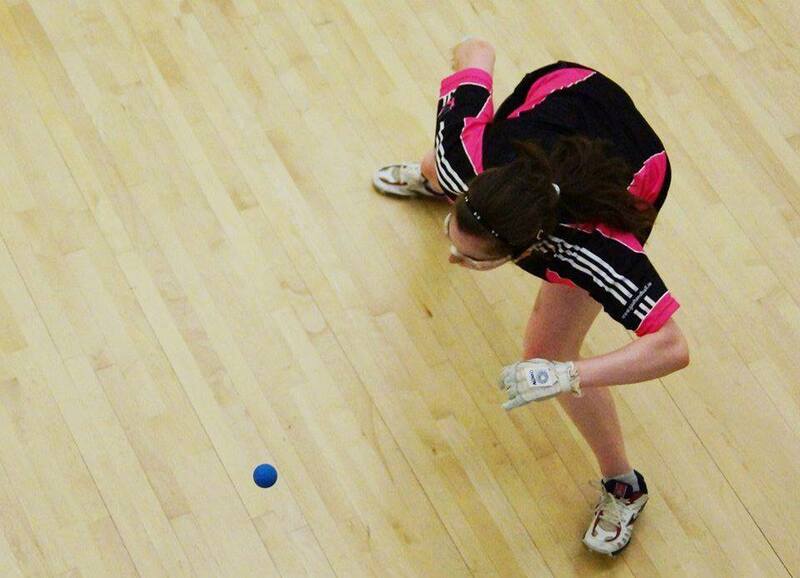 Catriona Casey Enters the Del Grande Group/EDTL Handball R48 San Francisco Men’s Pro Qualifier! 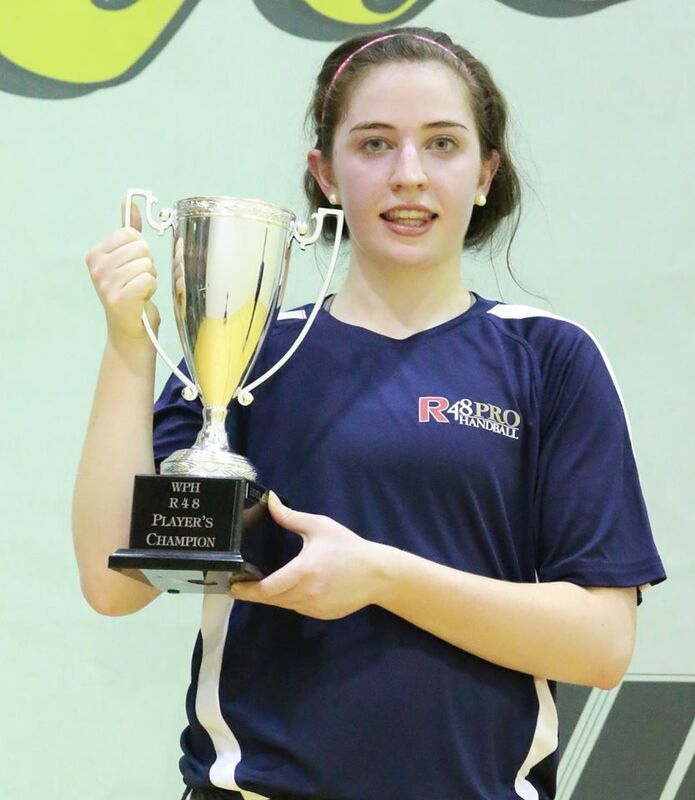 2014 WPH Women’s Player of the Year Catriona Casey has entered the Del Grande Group/EDTL Handball R48 San Francisco Pro Qualifier, joining one of the strongest R48 IV qualifier fields of the season. Casey will be participating in her first R48 qualifier, several months removed from winning her second consecutive WR48 Simple Green U.S. Open title and nearly a year after claiming the first Women’s Race 4 Eight Player’s Championship. The qualifier will not be broadcast LIVE, due to some filming restrictions; however, the WPH will chronicle Casey’s play. 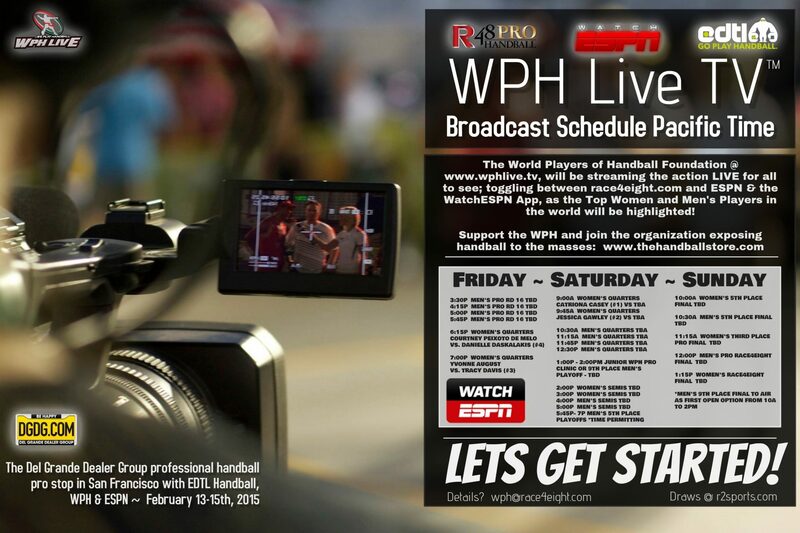 “Like,” the World Players of Handball on Facebook, log onto www.wphlive.tv or follow the WPH on Twitter @dfwph and @wphlive for all of the updates from the Del Grande Group/EDTL Handball R48 San Francisco! To watch Friday’s bonus round of 16 R48 main draw coverage, log onto race4eight.com. Coverage begins at 4 pm pst on Friday, February 13th. To watch live R48 and WR48 action on Saturday and Sunday, February 14th and 15th, tune into the Watch ESPN App (http://espn.go.com/watchespn/).